When you think about washing your clothes, you probably don't usually include your baseball caps. But between sweat, dirt, rain and just general wear and tear, those things can get pretty stained. Next time you need to wash your favorite cap, don't toss it in the washing machine. That's a great way to end up with a hat that no longer fits your head. Instead, try one of these great alternative washing methods. If you need to clean several hats at once, rely on your dishwasher. Put the hats on the top shelf of the dishwasher, fill the detergent cup with Borax and run a regular cycle. After the cycle is finished, place the hats onto something that will help them dry into their natural shape. 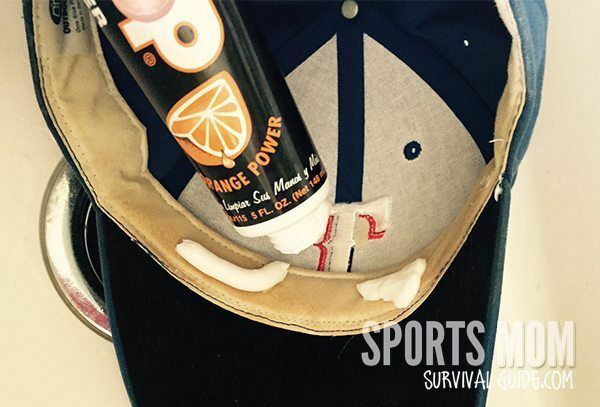 Surprisingly, you can clean your hat almost like you clean your hair. Wet the hat with cool water, put a little shampoo on an old toothbrush and scrub the hat. Rinse the hat thoroughly until you're sure all of the shampoo is off and then set it on something to help it keep its shape while it dries. 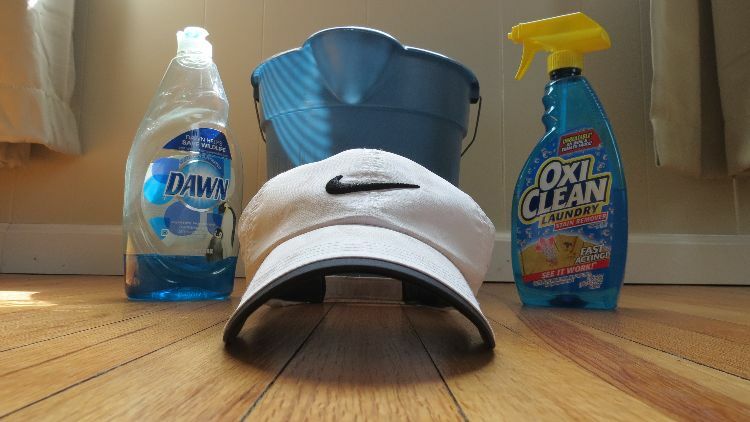 Spray the hat with a generous amount of Oxi-Clean, holding it over a bucket to avoid making a mess. 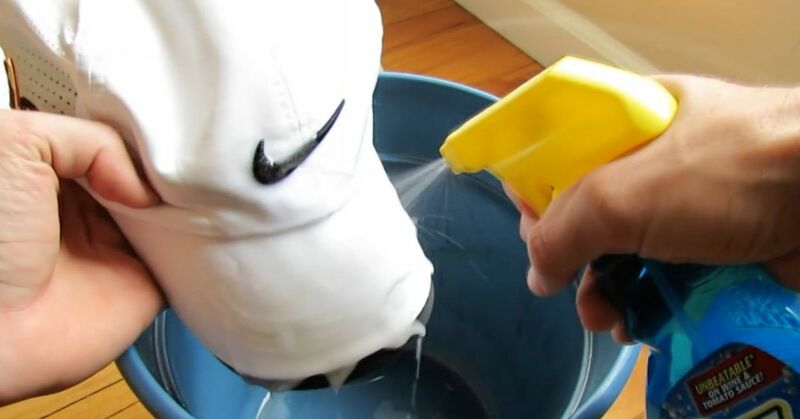 Drop the hat into the bucket and squeeze a little dish soap onto it. Add in enough water to fill the bucket and let it soak for 24 hours. When it's finished soaking, dump out the water, spray over any remaining stains with the Oxi-Clean and scrub those spots with an old toothbrush. Finish by rinsing off the hat with cool water and hanging it up to dry. For hats with a lot of sweat stains, you'll need to do a little pre-treating before you wash them. The best way to do this is with a stain pre-treating stick. 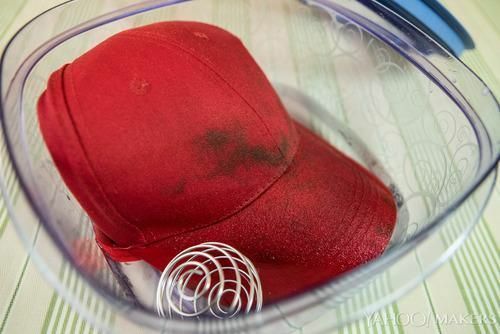 Just rub the stain stick over the areas most affected by sweat and then wash the hat using whatever method you think is best. Get a plastic container (with a lid) big enough to fit your dirty hat. 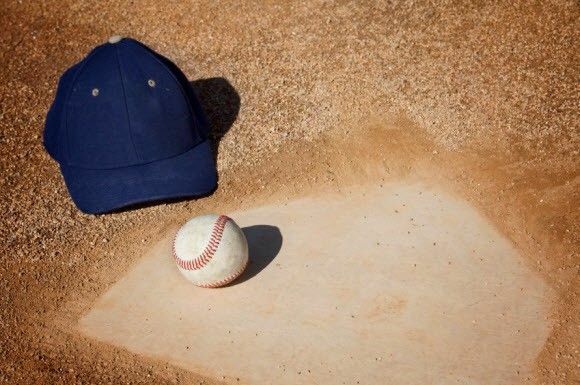 Put the hat into the container, pour in a spoonful of dry laundry detergent, toss in a wire shaker ball and add in enough warm water to cover the bottom half of the hat. Put the lid on the container and shake vigorously. Pour out the water, refill and repeat the process as many times as necessary until the hat is clean. Set the hat on something round to dry. 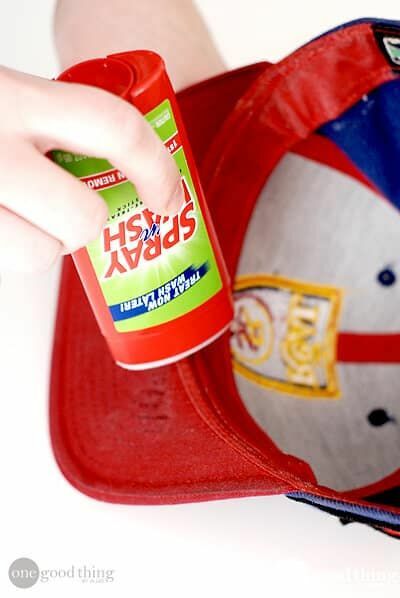 Apply degreaser to the bill and the inside band of your hat and let it set for 30 minutes. Fill your sink with warm water and 1/2 cup of laundry detergent. Put your hat in the water and let it soak for 2-3 hours. Rinse it with cold water and let it air dry.